One of the most versatile meats to cook with is chicken breast. Why versatile? Because of all the meats in the culinary world, it is like a tabula rasa, one that you can readily mold its flavor in any shape or form you want, so to speak.This very characteristic is what makes it a perfect addition to staple dishes such as pasta, rice, and other Italian grains. And a perfect example of this is a plate (or bowl) or Risotto with Chicken Breast. All meats are good sources of complete proteins. However, not all meats are created equal. So how is this particular fowl meat (or more specifically, cut) greater than other meats in the culinary world? Let us count the ways, shall we? As we’ve mentioned above, chicken breast is a highly versatile meat. You can use almost any cooking technique with it. You can bake, boil, broil, fry, grill, poach, sauté, or steam it. If you want to make the meat a little savory, you can simply marinate it with all kinds of herbs and spices for about an hour before cooking it and you will get some flavorful meat. Or if you prefer, you can serve the plain meat with all kinds of sauces such as pesto or tomato sauce, drizzle gravy over it, or cover it with some yummy batter and deep-fry it. Yes, you can do all those things and more with this beautiful meat. Chicken meat, in general, is naturally high in protein. The breast part in particular, however, is an excellent source of lean protein, more so than any other part of the chicken. Not only that, it’s the type of protein that is best for repairing muscle tissue and other damaged cells. 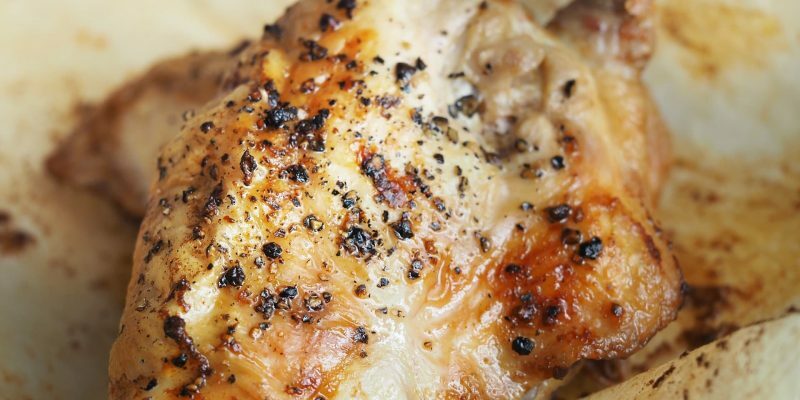 Of all the chicken parts, the breast is the one with the least fat content and also the least amount of skin. In fact, the approximate fat content of a medium-sized chicken breast without skin is a little over 6 grams. A very good meat choice, especially if you’re on a special high-protein, low fat diet. Aside from being high in protein and low in fat, it also has an array of essential vitamins and minerals such as vitamin B3 and B6, as well as iron, selenium, and zinc. Indeed, you can dine on all kinds of healthy fares day in and day out with just fruits, vegetables, and chicken breast meat. Now you know the delightful facts of this highly adaptable meat, let’s put them to the test, shall we? Test your cooking skills with this easy Risotto with Chicken Breast recipe. Dice the chicken breast, and sprinkle with flour, salt, and pepper. Next, fry the diced chicken in butter until they're lightly brown. Set aside. In another saucepan, cook the onion in oil and butter. Next, add the rice, stir gradually and saute for a couple of minutes. Add a ladle of hot broth until it evaporates or most of it is absorbed by the rice. After that, add the diced chicken breast to the rice, and simmer for about 4 minutes to let the chicken and rice absorb the flavor. Add the white wine and let it simmer in medium heat until most of the wine has evaporated. Add the rest of the broth one cup at a time, until the rice becomes soft and is cooked. 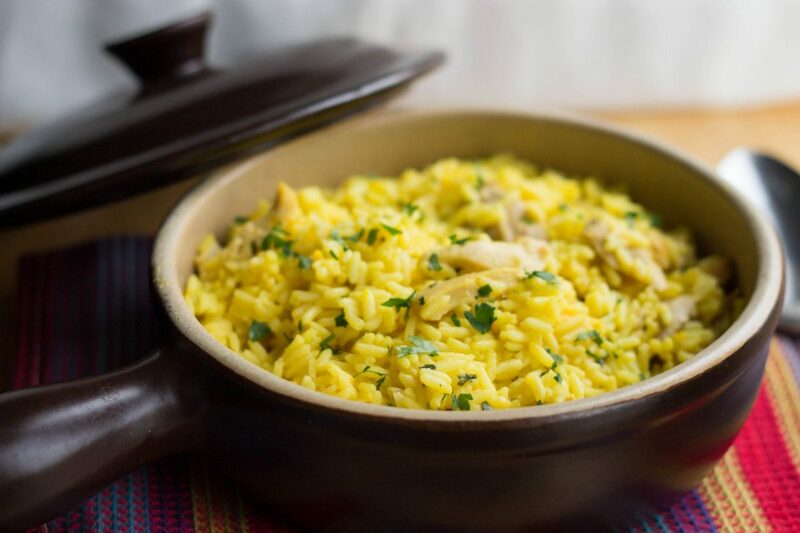 Stir in the saffron and combine well with the rice and diced chicken. Then, add the salt and pepper to taste. When you're done cooking, add the grated Parmesan cheese and a dollop of butter.